This item is gauge only. Complete set sold separately. Traditional aneroids are replete with delicate mechanical parts, rendering them inherently fragile. 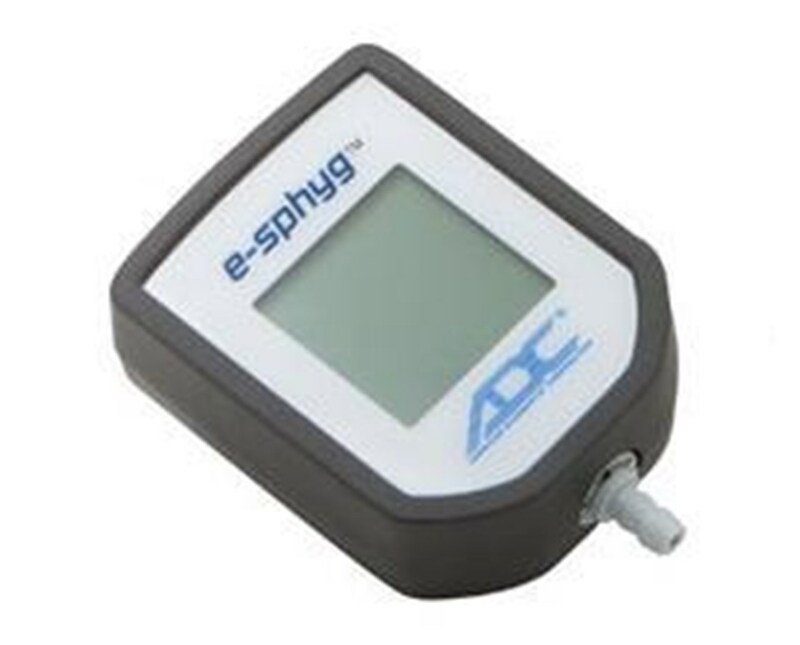 The concept behind the ADC e-sphyg™ gauge is simple: perform the same functions of the traditional aneroid using solid state semiconductor components, while enclosed it in a virtually indestructible casing. The result is a groundbreaking device that carries the same lifetime calibration warranty as traditional aneroids but is crafted to withstand harsh environments and conditions. It is also loaded with features with which traditional versions cannot compete. The very components that make an aneroid vulnerable to shock, vibration, over-inflation and wear - the diaphragm, gears, springs, and leakage - have been completely replaced with electronic pressure sensors, IC chips and a backlit extra large, easy to read, liquid crystal digital display. The manometer has been tested against a high standard of accuracy and has been found to still be accurate after repeated five foot drops. Its splash-resistent housing ensures that it can withstand even the harshest environments. The oversized, high-visibility LCD display boasts several uncommon features. 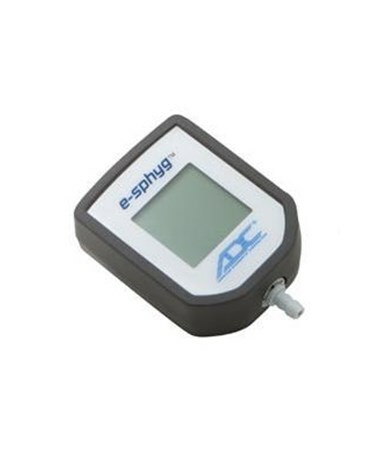 It is easy to read in any light and displays pressure and pulse, deflation rate, calibration check reminder (after 10,000 cycles), and a low-battery warning icon. It also features the Systolic Assist Feature, which can be used as a training tool or in situations with more ambient noise. When the pressure comes within 20 mmHg of the systolic pressure of the patient, a flashing indicator comes up to alert you to pay close attention to hear the phase 1 Korotkoff sounds. The unit is powered by 2 AAA batteries and is equipped with an auto-off function to prevent battery drain. The backlight and power switch function independently of each other for further battery conservation. The 8002 gauge is featured in the e-sphyg™ Digital Aneroid set (sold separately). Base 3" x 2 3/8" x 1 1/8"